We used to be happy with words and pictures. Now we have to add lots of noise and moving pictures to our WordPress blogs. The visual and audible web is here today, and videos, podcasts, music, and all types of multimedia are flooding the Internet bands. Bloggers are leading the way by hosting and showcasing video and audio files on their blogs in as many ways as there are tunes. Multimedia files can be stored and hosted on your blog or off your blog on an audio/music and/or video hosted service site. Some WordPress Plugins are designed to work with only self-hosted files, others with only off-site hosted files. Then there are a few Plugins which will handle both. The process of adding video, music, audio, podcasts, and other multimedia files to your WordPress blog can be simple or complex, depending upon what you want the end results to be. I’ve included a list of technical resources and articles to help you learn more about podcasting, video and adding multimedia to your WordPress blog at the end of this article. There are good, do-it-all multimedia WordPress Plugins and there are very narrow, do-one-thing Plugins. Choosing the right one for you is up to you and your media needs. I will not recommend one over another as a favorite since my needs are different from yours. These are free, so try them until you find one you like and use that. Note: As with all trendy and fad Plugins, many of these Plugins will be here today, gone tomorrow, as the author changes focus and stops supporting the Plugin. Some off-site hosted multimedia sites may close and go out of business, leaving you stuck, unable to access your files and hosting dead links on your blog. Things like this change rapidly, so thoroughly test and research your options before you seriously invest a lot of time and energy into one Plugin. And if your multimedia files are important to you, keep backups on your computer, just in case. I’ve classified WordPress Plugins which handle all types of media as Multimedia WordPress Plugins. They will handle audio, video, podcasts, and just about every format you can throw at them. Cool Player WordPress Plugin supports all types of multimedia files including video, audio, podcast, and hosted services like YouTube, iFilm, vSocial YoQoo, MetaCafe, MySpace, DailyMotion, and more. It supports the Rich Text Editor and HTML editor with a button for easy embedding of on-site and off-site files. It is configurable and features a lot of great options. Anarchy Media Player WordPress Plugin also offers a wide range of self-hosted and off-site hosted video and music formats including QuickTime, Flash, and Windows Media. More than a dozen different off-site hosted video services are supported, and dozens of different file types. It also hosts music files, including iTunes. wordTube WordPress Plugin, also called a “WordPress Media Center”, is a WordPress Plugin that helps you showcase streaming video formats (FLV and SWF), audio files (MP3), graphics (GIF, PNG, JPG), and a variety of other video and audio formats from your blog. Have you found other Multimedia WordPress Plugins which handle audio and video with ease in a wide variety of formats? The following WordPress Plugins handle video specifically. There are many different types of video formats and ways of presenting your videos. Below, I’ve featured video WordPress Plugins for do-it-all video sources, self-hosted videos, off-site hosted videos, video galleries, and Flash video players. This is just the tip of the video iceberg, so suggestions and recommendations are welcome in the comments below. There are many different types of video WordPress Plugins and video player WordPress Plugins available which focus on self-hosted or off-site hosted videos, but I only found a few that will do both, and most of those are listed above in the Multimedia WordPress Plugins list. Viper’s Video Quicktags WordPress Plugin adds quicktag buttons to your Write Post editor allowing for fast linking to off-site and on-site video files. EmbedTheVideo WordPress Plugin and Extreme Video Plugin will allow embedding of a wide variety of video formats including on-site and off-site hosted video files, along with a lot of customization. 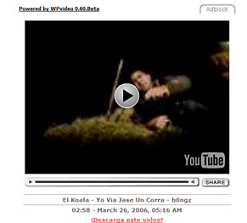 vPIP WordPress Plugin dynamically embeds a video after the viewer clicks on the video link. The link can be a text or image. The idea behind this multimedia player is that the page loads quickly as the embedded video loads after the link is clicked. It works with QuickTime, Windows Media, and Flash. If you host large video files, this might be an alternative to waiting for long page loads. An interesting twist on adding video to your blog is enabling your readers to respond back with audio and video. ITP Research offers the Video Comments WordPress Plugin which allows comments to be made on your video as people are watching it. A popup window displays the video and commenting area. As a video is watched, comments associated with it are shown. Comments can be made at any time in the video. The concept behind the comments is not so much that people can leave comments anywhere they want, which is probably what will happen, but to have the comments act as a subtext to the video. This could be an interesting addition to your video blog. The following Video WordPress Plugins display a gallery of videos on a WordPress post or page. This is an easy way to create a visual gallery of different videos, especially if you host a lot of video tutorials or a video collection. The following list of video WordPress Plugins specialize in producing videos with Flash or Flash videos. A self-hosted video WordPress Plugin is one that only supports video files on your blog’s server. To the best of my knowledge, they do not allow videos hosted off your blog like YouTube or Google Video. To use these, upload the video file to your blog’s site and then link to the file with the options found in the Plugin. The hottest trend online today are videos hosted off your site on YouTube, Google Video, or one of more than a dozen different video hosting services, all vying for your business. The following video WordPress Plugins are designed for the most part to only handle video files not hosted on your site, only videos hosted off-site on one of the many video hosting services. Some will host many different video hosting services, while others are limited to only one specific service. WPVideo WordPress Plugin is considered by many to be the easiest Video Plugin to use for embedding video hosted off your blog. Once installed, just add the tag snippet with a link to any YouTube, Google Video, MetaCafe, or other hosted site video file into a post and the video automatically displays. Configuration includes display of additional data such as video title, duration, and a download link. WordPress Video Plugin covers 14 different online video services for easy embedding of videos into your WordPress blog. Google VideoSearch WordPress Widget embeds Google Video AJAX search into your WordPress sidebar to help your reader search for popular videos or specific video categories. By default, you can easily add podcasting files into WordPress without any WordPress Plugins. Instructions are on the WordPress Codex Podcasting Guide. The article includes information on how to setup a specific podcast category and feed for your podcasts. However, many people like the ease of including podcasts and audio files via WordPress Plugins. These Plugins also help you include podcasts, music, and other audio files through off-site audio services such as iTunes. One of the most popular podcasting WordPress Plugins is podPress WordPress Plugin. It features integration with iTunes, preview of your podcast on iTunes, download stats, feed generation, viewing MP3 ID3 tags, control over player look and placement, support for a wide range of formats including video podcasting, podcast categories, and audio comments. Taragana’s Del.icio.us mp3 Player WordPress Plugin plays any MP3 files or links on your WordPress blog posts and offers a tagging option for visitors to tag and post the MP3 to del.icio.us. It is very lightweight and creates a small player icon and link on your post. There are also a variety of WordPress Plugins which bring radio to your blog. For example, WP [radio.wazee] WordPress Plugin broadcasts the popular Internet Alternative Rock Radio Station. While not exactly radio, Tornadostream allows users to choose from a wide range of music from their playlists and host them on your blog, turning your WordPress blog into a “radio station”. Audio Player WordPress Plugin will also allow you to sequence a series of music files to play like a radio station. The following articles are resources and guides to help you learn more about including multimedia files in your WordPress blog including video, audio, podcasts, multimedia feeds, music, and so much more. Some of these articles offer tips on the equipment and software to use to produce your own video, music, and podcasting files, as well as how to publish them and create feeds to promote them. If you are going to be offering a lot of videos, podcasts, and recordings of people and their property, you will need to get a release that authorizes you to use and publish their likeness and property without incrimination or harm. The Podcast Release WordPress Plugin was developed by MWGBlog which hosts a lot of interview media. The release form is easy to use and hosted on a page on your site for your “models” to sign off on quickly and easily. Make sure you are protected with this easy-to-use form. What Video and Audio WordPress Plugins Do You Recommend? As I mentioned, this list is barely the tip of the multimedia iceberg. As I wrote this, I discovered two new Plugins for this category had been released. It is a fast moving and ever-changing industry so keep an eye out for newer and better multimedia WordPress Plugins, and also for the oldies but goodies to update their WordPress Plugins to work with the new technology. So what are you using to offer video, music, audio, and podcasts to your blogging audience? Any favorites you recommend? How are you using them, and what would you like to see in future versions? This entry was written by Lorelle VanFossen and posted on February 17, 2007 at 6:58 am and filed under WordPress, WordPress Plugins, WordPress Tips with tags 30 days of wordpress plugins, how to use wordpress, wordpress, wordpress help, WordPress News, WordPress Plugins, WordPress Tips, wordpress tutorials. Bookmark the permalink. Follow any comments here with the RSS feed for this post. Post a comment or leave a trackback: Trackback URL. I can recommend wordTube WordPress Plugin. The Google VideoSearch WordPress Widget did not activate properly. Superb summary of multimedia plugins! I wish you had written this a few weeks back when I was spending many hours experimenting with trial and error. I have settled on a combination of the Audio Player WordPress Plugin (which you have listed above) and for video the FLV Embed plugin, mainly because they both use consistent tag styles… and I like consistency. Every time I try to insert a “subscribe to my vodcast on itunes” link on either a widget or within an entry, wordpress alters the code so the link will not work. My blog is hosted on wordpress itself, I have not downloaded wordpress to my website…. any suggestions????? You are on a WordPress.com blog, not a self-hosted full version of WordPress, right. Make small error like turning the = into – or a href into ahref and WordPress.com’s filters will remove the link. It happens to me all the time because I type so fast. That’s why I rely so heavily upon the post preview to make sure I didn’t bork the link when I wrote it. I do all my coding by hand without using the Rich Text Editor. thank you thank you for getting back to me!!!! but wordpress deletes the itpc: altogether everytime I save…. any way to get around this that you know of (yes I am on a wordpress.com blog). For a link to become a link in any WordPress blog, including WordPress.com blogs, it must begin with http:, ftp, or one of the standard document type prefixes. The iTunes itpc is not a web standard, so I guess WordPress.com filters it as garbage. I searched the WordPress.com forums and FAQ and can’t find any specific way to “subscribe” or link to iTunes directly. I haven’t found a way to even embed iTunes. Post a note on the Forum and add it to the suggestions through WordPress.com Feedback link in your Administration Panels. Maybe something might happen. I’m really surprised I didn’t find more people requesting this in the forums. It might because iTunes has copyright protections in place. I don’t know. You can also look through Adding Video and Podcasting Bling to Your WordPress.com Blogs to see if there is another alternative, since an iTunes thing is an MP3 file, right? WordPress.com allows embedding MP3 files and even hosting them on your blog if you have enough storage space. Why bother going through iTunes? And sorry it won’t work. If you can link to a “page” or something that hosts your iTunes stuff, then maybe that will work. Hi Lorelle, Thanks for the great rundown! I am the author of the Windows Media Embedding Plugin and the QuickTime Embedded WordPress Plugin. Both of them support embedding video that is hosted elsewhere but you have to know the direct URL to the video itself. You are correct, they do not support services like YouTube or Google Video (which are both Flash based) but they do support things like Blip.TV (as long as you put in the direct link to the video in the correct format). I guess, I would classify them as the “barebones” plugins, they only embed one format (each) and don’t have many other capabilities. i really like the audio player plugin as it handles the audio nicely. in general, i like using a combo of alex king’s SHARE THIS and the sociable plugin to allow people multiple chances to bookmark the posts. the calendar subscription is also a nice plugin for event subscription on iCal. I figured out how to do it ! What is the easiest way to add forms? Depends upon the kind of form you are looking for. See Contact Form WordPress Plugins for those kind. worth noting, the vidavee plugin is the only one (that i know of)that allows uploading off-site hosted video within wordpress. Im glad I found this page! It has saved me loads of research. Im researching video and the “user experience” Im looking for something where users upload video that wait for an admin approval. Upon approval they get put into the video playlist or gallery. Any one know how to post actaul video on wordpress? See Adding Video and Podcasting Bling to Your WordPress.com Blogs and Podcasting and Video. I would like to place a short music file that would start when someone comes to my site. The player would be hidden and the music file would be located on the server that hosts my site. Is there a way to imbed the player so that it will start when the page loads? Any of these Plugins would do the job. Try one to see if you like it, and if you don’t, try another. However, if you want to play music that plays automatically with the page loading, you should be shot, hung, flesh stripped from your body and dried, while you watch. Got my point? 😀 It’s old. It’s dated. It’s out of date. It’s hated. You will lose readers if you force music upon them. Instead, put a BIG PLAY BUTTON on your blog to encourage people to play by their choice, not force. You will have happier visitors. Since I write about WordPress and not Word, I do not know how to put a video of any kind into a Word document. However, if you would like to embed a video into a WordPress blog, then the Plugins in this article may help. If want to embed a video into a WordPress.com blog, see Adding Video and Podcasting Bling to Your WordPress.com Blogs. Hi Lorelle, Sorry to take up your time. Is there any way to embed a YouTube (or similar) hosted video in a post that then redirects to another site once the video has finished? I don’t know. And I’d hate it if I ran across something that did that. Let the user control where they want to go with a secondary link to the other site. Forcing it upon the user is a horrid thing to do. How can i use wordpress plugin in my blog! Your blog is on Blogger/Blogspot. You cannot use WordPress Plugins there. hope u could help me? Please contact the WordPress Plugin author. I do not support individual WordPress Plugins. If that doesn’t work search the WordPress Support Forum, and if that turns up no answers, ask there. The Cool Player link works for me. It was just updated December 25, 2007. There are other Plugins to try if that one doesn’t work for you. Is there plugin or script(s) that allow you to set up a playlist of video (especially from Google Video) on your blog? I think it’s important to create a TV-like experience of having different clips play one after another (whether it’s in a single, embeded window, or many pages playing in sequence inside an iframe, etc…). I don’t view this as a replacement for on-demand clips, yet bundling them together ads value in sharing a certain point of view. While it isn’t “important” and it is certainly HATED to force the playing of media on a web page without the user initiating such action, some of the Plugins listed in this article will allow the playing of video on your WordPress blog. 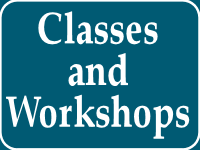 However, does anyone know of a good Classified Ads plugins for wordpress? Google directed me here 🙂 but I cant seem to find a good one. Your search is as good as mine. 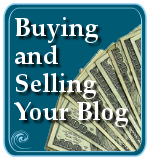 See Monetizing WordPress Plugins for some ideas. Thank you for your helpful report of the four links out of the hundred or so on this page that no longer worked. They’ve been updated and new Plugins added to the list. As for which version works with which version of WordPress, check with the individual Plugin author’s site to see if they have an update and request they update their Plugin to work with the new version of WordPress or video hosting service. I just set up my new domain and website. I need to know how to upload my video files to my blog directly (use server such as netfirms server). Can you tell me how to do that simply? Nothing to do with embed or anything, just put video file on my blog directly. Thats all. Ok, I’m new to this, I have a Playlist. how do I put it on my blog? First, if you are using WordPress.com to blog, check their list of videos and images they will allow you to embed within your blog from other sites and services. You can only include what they allow you to include on your free blog. I have an explanation for some of the options in Adding Video and Podcasting Bling to Your WordPress.com Blogs. Second, check with the service for their instructions on how to embed the code to their video, image, or other files into your blog post. Look for hints for using these in a WordPress or WordPress.com blog. 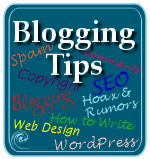 Third, check the appropriate WordPress forum, WordPress.com Forums or WordPress Support Forums, and search for that service for tips and information on how to include them in your blog post. Fourth, if all those fail to give you the information, ask in the appropriate forum. They will be able to help you. and a video will be embedded. I’m very familiar with wordpress, and wordpress plugins, and I know there is a great number of plugins for embedding video. I’d like to be able to let them continue with the convention they know, though, without having to learn something new. Would you happen to know the exact plugin that wordpress.com uses for this? Many different WordPress Plugins offer this “easy” form of embedding, though I’d recommend the PodPress Plugin as it handles everything even easier. Go through the list and try them to see which one works the way they want it to work with the videos they use the most. Each one is a little different, so I can’t make any specific recommendations other than PodPress. What videos? You choose a WordPress Plugin that works with the video types you want to use. There are several standards but no universal standard. But most people’s computers and browsers can handle most common types. Quicktime is free, and it can be installed on Windows and Apple. So I’m not sure what you are asking. Right. I understand apple quicktime is free, but assume someones just hasn’t installed it. For example. Say I don’t have quick time. My buddy wants to send me a .mov file. I won’t work on my computer. But they he uploads it to youtube.com. Then I would be able to view it because of how it changes it to a more universal format. Of course as well youtube converts .wmv files, ect. With some players I know the user must have proper software depending on which format is uploaded. Anyhow with youtube the uploaded format no longer matters. So would these players still be dependant upon the user (and software in their comptuer) for viewing, or just would work universally (such as youtube). Sorry if I am getting repetitive. You are not, and I understand your concerns. Which is why the key point related to my article is that it is important to a WordPress blogger to choose a video format, and a WordPress Plugin that allows them to host a variety of video format, as well as the ones that are most popular and do not rely upon the visitor to have special software in order to view the image. This is why I really like PodPress and other Plugins that put the viewing responsibility on the blog and not on the visitor. I am looking for the ability to have an audio/video player on the right side of the page and changing page content on the left. The requirement is that the player is always visible and playing as the visitor clicks on different pages. Rather not use frames and pop ups. Is there a plugin that provides this ability? I don’t know which one does that, but people have those things stuffed into their sidebar all the time. You’ll have to check through the specifics of the various Plugins to find out which one will work in the sidebar, or will allow you to embed a video in a sidebar Widget. Plenty. But you have to be more specific. Start a blog, on WordPress.com or get yourself a self-hosted site and install WordPress (or one with it already installed) and start blogging. Add music, jazz it up, tone it down, just do it. WordPress isn’t exclusive to any type of blogging. There are photoblogs, music blogs, video blogs, you name it. Just do it. Wonderful resource list. Thank you! I’m trying to get away from the “black screen of boredom” that shows after the video is embedded and before the play button is pressed. I’ve tried a couple different plugins, and several different ways to “produce” my vids from Camtasia. Actually I don’t know whether the black start screen is a result of the plugin or the production pathway. Any help on this would be greatly appreciated as it will at least give me the starting place for solving the problem. It is usually more of an issue with your browser than the video or tool. Personally, I prefer the black screen, or better yet, I have added a FireFox extension that disables any view of Flash embedded video until I say so. And I checked, and your blog now features a picture on your video. I’m glad you found an answer for your mortgage blog. Lorelle, do you know of any plugins that can also show embed code that others can copy and paste to embed the same audio or video in their site? I’ve written about how to publish code in Writing and Publishing Code in Your WordPress Blog Posts, which includes some Plugin options, if memory serves. Does anyone know of a plugin that would allow a visitor to my blog to download my embedded video to their desktop? At the moment I am using Vidavee. I don’t understand. If you put a video on your blog, then the user will download it or view it from within your blog post. There are no Plugins required for the viewing or downloading, though they may need the current version of Flash. Media Player, or whatever software allows them to view specific types of videos. If a Plugin allows you to easily embed video within your blog, that’s all you have to worry about. Am I misunderstanding your question? WordPress.com blogs do not use Plugins. Good luck with it and I might consider it for inclusion in my news reports on Plugins. There is a problem uploading video. It shows up just the picture formats. No video formats are shown while uploading media. I assume you are talking about WordPress.com. Have you looked in the WordPress.com Support Forums for help? the “Smart YouTube Plugin” is a fantastic plugin. I think you should try this if you have problems eith the others. I tried the VodPod videos widget as my gallery, but couldn’t get it to work quite the way I wanted it to. The YouTube video gallery was great, but I needed more than just youtube videos in my gallery. So I went ahead and wrote my own, based on VodPod’s API. In case anyone else finds it useful. Thanks, Lorelle, for these great posts. Your plugin lists have been immensely useful to me. Uhh….your post absolutely very usefull for me. I’m just begin with wordpree and search plug in for added video to my blog. Thank you very much for your great post. GEat list of plugins, cant wait to get right into it! I would like to play tudou, youku, youtube, google and megavideo video clips on my blog. but i want those to be play in custom player. Not in thier own player. for example. youtube will not be play in youtube player. tudou will not b played in tudou player. i want those to play in default same player. Please advice me what plugin should i use. Thanks advance for your help . For your last question, visit the WordPress Support Forums for help. As for your second question, You’ll have to research what custom player you want and then find a way to either embed it manually or find a Plugin that will work. Since I don’t know what kind of custom player you want – and remember that whatever you choose it will have to work across all the different web browsers so you better be prepared to test it yourself – I can’t help you. Sorry. Thanks for the list for video plugins. Will try some. I would like to have a plugin which displays related videos’ thumbnails in the sidebar when a user is playing an embedded video on my post. This would increase page views and revenue..
One of the best ways to embed media is through the use of a module or widget. One of the fastest growing online web applications to offer mass video embedding is VideoSwiper which now supports 15 scripts and over 30 video search engines. You can now embed media at the click of your mouse and transfer video to your websites fully automated. not sure if someone already asked this. but i want visitors to my site to be able to upload there own videos. i’m using a tdo miniform but i can not upload files greater then 1MB. I get an error saying that the files exceed server size. Any ideas on way this is? p.s. the host company said i needed to change the allowable upload size in php.ini form. did this and it still didn’t work. You will have to contact the Plugin author for information on this. The limit could be applied in many places beyond PHP. Some Plugin authors are working on Plugins to allow users to login as contributors to upload videos and photographs and other multimedia with the WordPress Administration Panels, then notifying the admins that the file is “pending approval” awaiting inspection and release to the public. Stay tuned for more news on that type of capability, or jump into the water and develop your own. A lot of people want this lately. It is going to be interesting how webmasters handle the storage space and organization on their blogs. I’m looking for any insight on a problem I’m facing streaming flash videos from my wordpress (self-hosted) site. There seems to be erratic problems with taking simple embed codes from video content service provider, ooyala.com. The problem relates to getting the ooyala flash player to load in Internet Explorer. I’ve posted the question over in the wordpress support – and of course I’ve notified ooyala. But so far no results. Just wondering if anyone is seeing similar problems from other video delivery providers? Or if anyone has some experience with this type of issue. I posted this problem over at wordpress.org forums http://wordpress.org/support/topic/199494, but haven’t gotten any feedback, so I thought I would try here. Thanks in advance. most recent YouTube vid is embedded in the sidebar — not just a thumbnail, the whole vid in a mini-format. When a visiter clicks the sidebar vid, it should take them to the full-sized post. Is there any free theme or plugin that already does this, or do I need to roll my own? There are thousands of WordPress Themes and I don’t keep up with all the designs. However, there are also tons of WordPress Plugins that will do the same thing. I’d start with PodPress and experiment from there. Thought you might be amused to know that your (excellent, btw…) article comes up No. 4 in a Google search for “embed video in word document”. This site has helped me out with so many WordPress problems. Another great post Lorelle! Hi we recently upgraded WordPress and found the video embed button on the visual editor was removed. How to get that back. Check with the Plugin author of your video embed Plugin. WordPress do not automatically include that currently in any version. I am relatively new to WordPress. I would love to put some flash animations and video files up on my site. I would like to the users to select from a carousel, something similar to 3d Carousel Gallery. I spoke to these guys who thought that their software could be integrated into WordPress. Is there anything in WordPress similar to this already? Are there any plugins that can be used for live webcams? Which do you suggest? I do not currently use any webcams with WordPress. You might want to search for those who do and ask them. Thanks for the article Lorelle! Where do I get the plugin that is used to play videos on WordPress.com for my self-hosted blog? Plugins are not allowed on WordPress.com. WordPress.com blogs are not self-hosted. Those downloaded and installed from WordPress.org are. So I’m not sure what your question is and how to help. Great information here, sometimes the plug-ins are confusing. Thanks. First of all I love your site and all you’ve done to give back to the WordPress community. Next I want to ask a question that I’m sure has been answered but after reading through the posts I’m still not sure of what I need. Basically I have a church website I’m building using a 3-column theme. The typical functions needed are a gallery, a way to upload sermons, and a way to add videos. I use Nextgen for the gallery and have wpSermons. What I’m trying to figure out is what’s the best way for the users to upload videos they create? The website is hosted on GoDaddy so I’m guessing it falls under “self-hosted” category? Is it possible for a user to upload a video they create to the video gallery and then have the option to add videos in a sidebar widget? I guess the main point is that the users upload they’re own videos? Side Note: what’s the deal with the WordPress forums? I registered for an account and have yet to receive a confirmation email. I don’t know what is happening with the WordPress Support Forums. I recommend you contact them or try again. You might have messed up your email or some detail and the process didn’t go through. It usually takes split seconds. Uploading video means being on a host server with a LOT of storage space. GoDaddy might not serve your needs so check thoroughly. Each video can run from 1 to 300 megabytes each. You have to set limits, of course, but check first on how much you want to spend. There are a variety of WordPress Plugins that allow submission of files on contact forms. You will have to research to find out which one will work best for your specific needs. You create a Page with that form on it, and then insert the Plugin’s specifics. There are also comment Plugins that will now allow submission of video in their replies, another possibility to consider. As for copyright ownership, unless stated otherwise in your copyright policy, by default, copyright resides with the creator of the content. Great resource thanks. Have been using SmartTube but just recently added Viper’s to the list. This certainly gave me some new ideas. Keep it up! 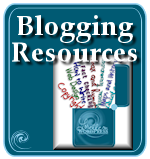 This is a great resource for plugins, thanks Lorelle! I am a rookie at WP, but I have a wordpress.org site I am now having trouble with. I had video running on the site using Vidavee, but they are no longer supported. I have video uploaded to my server but can’t seem to get anything to work. Suggestions?? Sorry. Not familiar with Vidavee. If you have the video uploaded to your server, then use Video Viper Tags or PodPress or another video option that allows self-hosting your videos (rather than YouTube hosted and other offsite options). 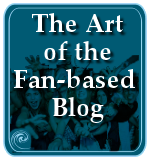 Great blog and great reads, thanks a lot for the great information on this and other articles! Always good stuff on your page! Do u know a plugin about Video Elements ? i like to install some plugin that my user can upload a Video and Album photos inside his profile. ,, and in muy front page ,, apear last video user upload and last photo user upload…. thats is possible ? how i find this plugin if thts exist ..
see late.. i need u help. Did you check the WordPress Plugin Directory? Are there any WordPress plugins that allow video/audio links in the comments to be converted to embedded players? This is a BBPress plugin that gives a hint as to want I mean: http://bbpress.org/plugins/topic/bbvideo/ . You forgot to mention my podcasting plugin, Blubrry PowerPress! It also supports video as well as audio, optionally accepts embeds from sites such as YouTube, Viddler and blip.tv, and there’s even an off-site hosted service available from blubrry.com that ties into PowerPress for hosting both audio and video media. For those folks having problems using PodPress with the latest versions of WordPress, we’ve included importing tools in Blubrry PowerPress so the transition from PodPress to PowerPress is quick and easy. Você não tem um blog no WordPress.com “WordPress” o que significa que você não pode usar WordPress Plugins no WordPress.com. Se você pagar por sua própria hospedagem em um servidor web, você pode usar plugins. Thanks for the post Lorelle. I read about a plugin in the comments that made me rethink how I implement upload by users for my video camera iPod nano site. Great list. I have spent ages trying to get a video on my wordpress site. Anarchy was dead easy and worked a charm. I know very little about coding and PHP and even I could make it work. I had terrible trouble with other plug-ins because they assume too much knowledge. They tell what code you need, but do not tell you where to put it. Please check the WordPress Plugin Directory or search the web. I don’t know of any such service, though I know PayPal has their own process for doing this. Check with them. 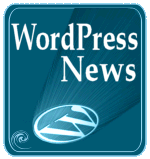 WordPress and WordPressMU are merging, which will change everything, including Plugins, very soon. There can be a lot of confusion over .org and .com wordpress sites and wp isn’t the easiest to get started with. However once you get the hang of it it is incredibly flexible and workable. Thanks lorelle for a valuable and informative site. There is a lot of confusion, indeed. However, I’ve watched 13 year olds and 80 year olds, both with no experience with computers and blogging, set up and get rocking with a WordPress.com blog in under 5 minutes. Incredible. Which plugin do you recommend for photo slide show? I do not have any recommendations. I think the built-in WordPress Gallery and Plugins that work from that are good enough. Hi, is there a plugin that allows users who visit my blog to submit/upload photos to my server? I would like to create interaction with my readers and have them submit photographs to me on my wordpress, but I have no idea which plugin is capable of letting readers to upload photos both from PCs and mobile phones. Anyone can advise me? Thanks in advance! Some of these plugins I didn’t even know they had. It is a good thing I came to this site. thanks for the list of plugins they will definitely come in handy. If you could be more specific about what you are finding out of date, I could fix it. These articles are to serve as examples, not permanent resources. Thank you for the information, however I do not permit links to domains that abuse the WordPress trademark, whether or not they have outstanding WordPress Plugins. In what sense did it violate the trademark, please? I’m happy to correct it at any time as I do not wish to violate anything. Please see WordPress Domains for information on trademark violations for use of WordPress in a domain name. 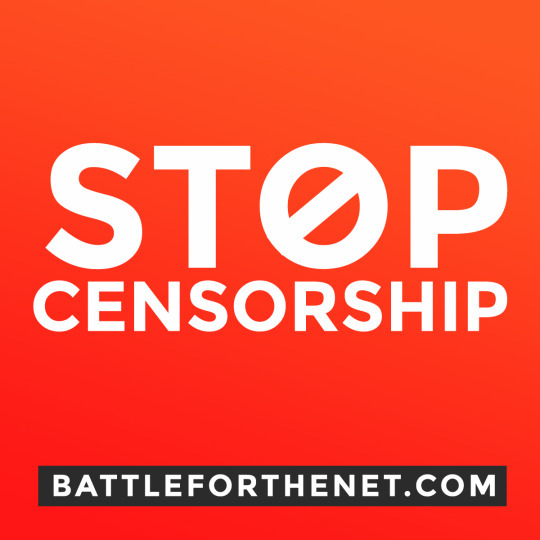 It’s a long standing policy of mine to not promote nor link to any site which violates that policy, as it is for a lot of people within the WordPress Community. Never mind, I found out in the meantime what is wrong, I was not allowed to have WordPress in the domain. If I correct that, is all well then? No worries, I understand. I’ve bought wp21century.com and move everything tomorrow. Thanks. I changed the domain name in the meanwhile and hope you don’t mind I submit the plugin on this site again because I’m convinced it will be a valuable addition to your list. I invite you to have a look to convince yourself. Sorry again about the abuse. I had no clue. Thank you for updating the domain name to prevent trademark violations. Definitely a great list of plug-ins. The video plug-ins were the ones i was most interested in. Thanks for sharing. Check out my plugin for video gallery, Cool Video Gallery – Video Gallery plugin with option to upload videos, manage them in multiple galleries and option for playback. More features coming soon!!! I want to create a website like http:://music.bangaliaana.com using wordpress is it possible? Anything is possible with WordPress. Some of these Plugins will help, too. the current selection of audio players for wordpress is truly dreadful and depressing. Having spent days trying most of them, the only one that is remotely usable is audio player 2 but that one is bad because you cannot customise the big bulky thing apart from choosing colours. Forgive me, but there are a lot of them out there. Unless you can be more specific with what you want, I can’t help you, but there are a lot of them out there. For the most part, the simple they look without colors just monochrome grays and blacks, are favored. WPaudio MP3 Player WordPress Plugin, Audio Link Player WordPress Plugin, and WordPress Audio Player are very popular. @fiddlestix, S3Media Stream has many options for audio, you can even set a poster image, subtitling, change skins, change size, etc… It has a wizard for audio, so there is no coding involved. It does video and Flash as well and supports private streaming via S3 amazon. It is a commercial plugin, but it works great and the support is phenomena. I don’t promote commercial WordPress Plugins as a general rule on my site. Thanks. There isnt 1 simple audio player that only has a play/pause or play/stop button for an mp3 file where you can put multiple players in one page. I used WPaudio WordPress MP3 Player Plugin that you mentioned on Listen to Scott Kritzer which features a very simple player button and the ability to play multiple files on a single page. The user can hit pause or play easily, and click and drag to the spot where they want to play. I’ve used this for many such sites with no problems and changing the look with CSS is the best way this should happen, by the administration panel settings for the Plugin or through the stylesheet. I’ve had no issues with the Plugin at all. The reason is that audio isn’t as popular as video. You have to realize that creating plugins and supporting them takes a lot of time and it is hard to get your investment back. Audio is a very small niche in comparison with video, therefore it is not popular with developers. However, you might want to check out AAP, it is even html5 compatible and you can influence the look with css: Accessible Audio Player AAP WordPress Plugin. I played with the demo page for the Accessible Audio Player and found some odd bugs. The “playing” and “pause” notification is far from the player bar so I didn’t notice it for a while. I couldn’t play more than one song without refreshing the page. I’d click the next song or a random song and the event log would report “waiting” and nothing would happen. I waited for five minutes and gave up. I tried this repeatedly and only a refresh would allow me to switch to a different song. Yes, there are issues with many of the Players in the past, but this Plugin is a great example of the steps currently being taken to improve it. PodPress continues to thrive after a long time down, and BluBrry and others are offering some great podcasting audio players and utilities as well. Yes this plug in was great – however if you have multiple tracks on a single page and listen to 1 fully then start the next, it plays both at the same time – ergo its no use. That’s true. 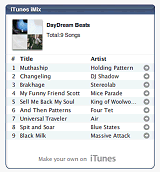 The Plugin turns MP3 links into players. It can’t read your mind nor does it recognize when another file is playing. I admit that it isn’t perfect but I’ll check out the other one you mentioned. Thanks. That is strange, Lorelle. I tested it and it worked fine. I could play all audio without a problem. But I only tested on Firefox. I met a blind man who said it was the best audio player he had ever seen for screen readers. We often tend to forget about the blind so I find the AAP plugin very important. Very odd. I tested it in two different browsers. I think the work is amazing and I’m totally for all tools that embrace the LAWS of accessibility – yes, the laws. Too often we forget that creating accessible websites and apps is the law not a favor. I’m looking forward to testing it further. Is there a way to embed a IIS Live Stream in to WordPress? Any module for such? There may be for WordPress, but it’s called a WordPress Plugin or you can use the IIS Live Stream embed code for the self-hosted version of WordPress. WordPress.com does not allow such embeds beyond their built-in media services. Check with the Live Stream services and FAQs and with the WordPress Support Forum if you find no solution with Live Stream. Im looking for a easy to use plugi that runs a great range of music that i can choose? I do not know of any such WordPress Plugins, but that doesn’t mean there aren’t any. In the reality of social media and blogging, a reply by comments is the only response you will get. 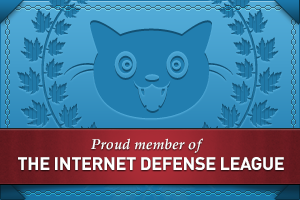 Please do not include your email in comments as it violates your privacy. Thank you. Hi! I´m new in the worldpress world. I´m looking for a video player that allow me to schedule many videos, to work like a live video channel and broadcast 24/7. I mean, with many codes from diferent sources, choose at what time to change for another live, without the need of refreshing the page. Am I asking a lot? hahaha… Thanks for any answer! It looks like you wish to turn a WordPress site into Hulu or its equivalent. I do not know of a free WordPress Plugin that will do so much. You may want to check premium Plugins or hire someone to create one. I really like your blog. Thank you.